The world of business has turned on its head especially compared to how it was conducted a few decades ago. The traditional marketing methods have been shed along the way with an online presence for every business becoming an inevitable option. Many consumers opt to shop online or apprise themselves of what they would need by jumping onto a search engine and assimilating data readily available on it. If your business is not available on the search engines then you would not come within the spectrum of your customer’s search. This could cost you dearly on the short, medium and long term, thus affecting your business and its future prospects. Progressive and proactive thinking businesses know this and are quickly making their presence on the search engines. They do not stop there but ensure that they are always within a few clicks away from all their potential customers. The lesser the clicks, to find your business by them means you would have won the day above your competitors. The primary tool to achieve this would be to have a website that would be omnipresent to be found by your businesses potential customers 24×7 all through the year. You could cut corners and develop a website for your business from material available online or do so with careful planning and ingenuity to ensure it stuns your potential customers to be glued to the screen and impulsively engage with you. The former would save you some money indeed but whether it would propel your business to the heights that you aspire is another thought that should cross your mind. A custom web development for your business would be the best choice as you would be starting from bottom and working your way upwards. This means that you would bring all that is relevant to your business and building your website from there. Every aspect relevant and particular to your business would come within the purview of the custom web development initiative which would be a true projection of what your business is and all it has to offer. The benefits that a web development would accrue to your business are listed below which would be in your better interests to carefully study before you would embark on designing your company website. A web development would be special and unique as it would be specially designed to cater only what your business has to offer your potential customers. Your website would not be duplicated elsewhere and would have all the trappings of being unique. The design, images, content and the layout would be specific and only made visible to your customers by your company. None other would have what you could show on the potential customer’s screen. Apart from the cost factor everything else would be in favor of your website hence most progressive businesses opt to initiate a custom web development in contrast to a pre-made website template development. They know that what they copy and develop would not be able to project everything about their company to their potential customers out there on the search engines. A well designed web development would bring information faster to your potential customers when they are on the search engines. It would shed all unnecessary issues and ensure that the required content is delivered quickly to the potential customer. This would be possible by ensuring that the search engines quickly filter the information available to it and put your company’s website up on the potential customer’s screen to ensure fast visibility. Only a special web development would be able to achieve this and it is imperative that you make the right selection if you are to enjoy all the benefits that would come your way at all times. You could build a secure platform when you initiate web development and also use it to target potential customers to ensure that they see your website first before they would see others especially your competition. It is a very alarming trend to see websites being compromised and infiltrated by unscrupulous individuals. When you get a custom web development initiated you could put in place all the required controls, to ensure that you are kept safe from prying hands, from those who would otherwise make unnecessary inroads into your business. A custom web development would entail you to spit and polish it as you go along when the ground rules change for your business. You could also make it as functional as possible to bring extremely good results and ensure that it is always in your customer’s domain when they are on a search engine looking for products that you too would be offering. The business environment is constantly changing and very volatile hence it is imperative that you keep your website on its toes so that you could derive the optimum benefits. Every business needs a website which is an online presence but just being a needle in a haystack is not what would propel you to the lime light when potential customers come onto the search engines. A custom web development would ensure that your website retains your uniqueness at all times and is made available to the customers when they really need you. 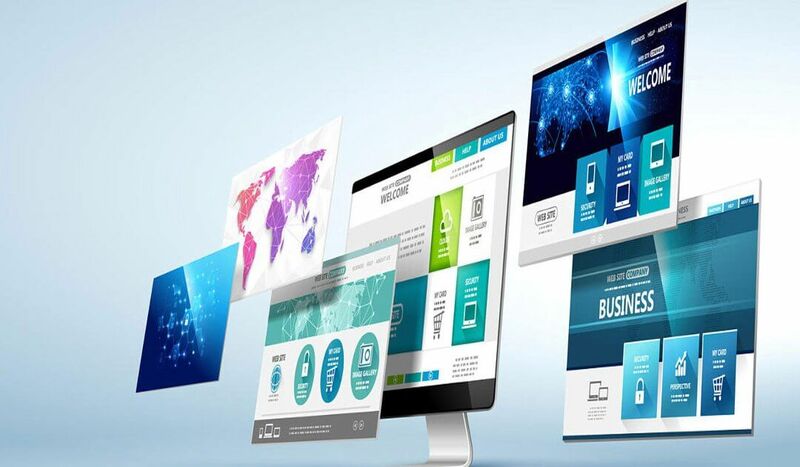 Websites could be developed just to be online but that is not what is required in today’s competitive business world your website should be standing tall and handsome and only then would you be found when needed by your potential customers. A carefully designed web development initiated by professionals would give your business that edge which could be the difference between success and failure. In today’s business world the competition is unrelenting hence being a step ahead of your competition is imperative if you want to savor success. To ensure you keep ahead the choice is to have a professional web development with everything about your business brought concisely and precisely to your customers.